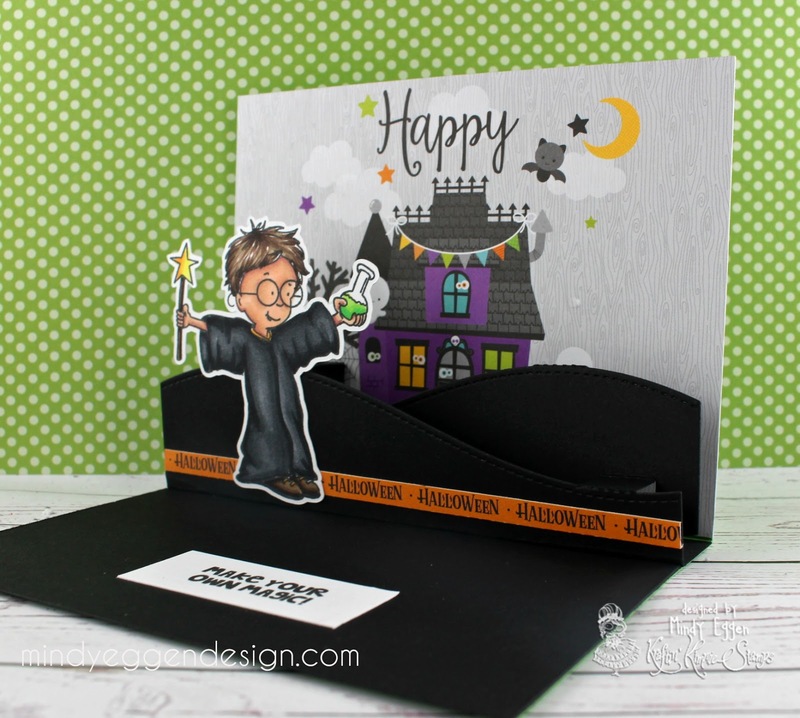 Welcome to another challenge from Kraftin Kimmie Stamps!! We always enjoy your creations so be sure to submit them so you can have a chance to WIN a $20 gift card to the Shop!! Show us your stuff!! In keeping in line with the rest of our challenges (Wonderful Wednesday and our NEW Krafty Scrappy Challenge), we will be drawing one winner per month from all Saturday Challenge entries to win a $20 gift card!! You can enter as many times per month as you’d like!! The last SUPERSIZED Frugal Friday, Anniversary Edition is now up in the Krafty Store! 8 sets on sale… happy shopping! Today’s theme is Halloween!!! I used the cute set Make Your Own Magic. 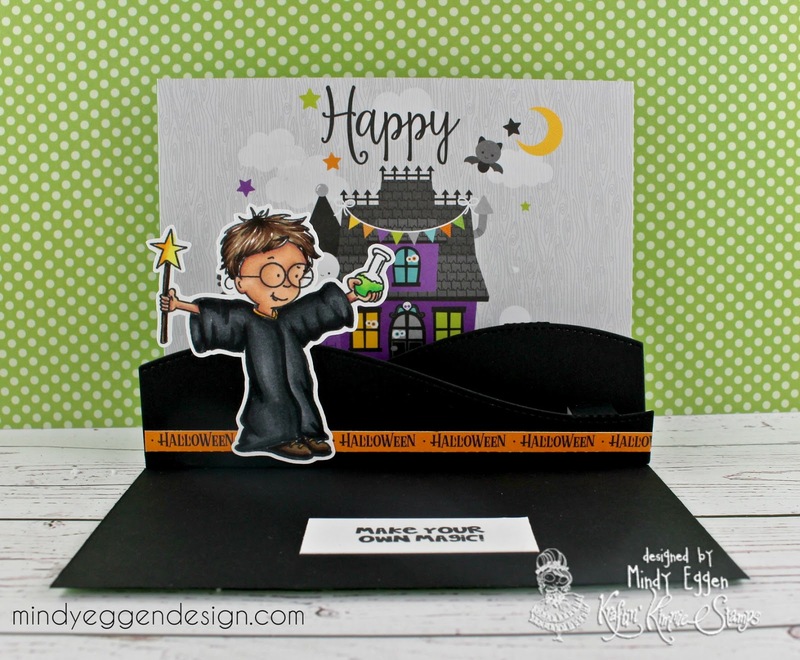 I have my little wizzard on a stitched hillside popup with the creepy house in the background. 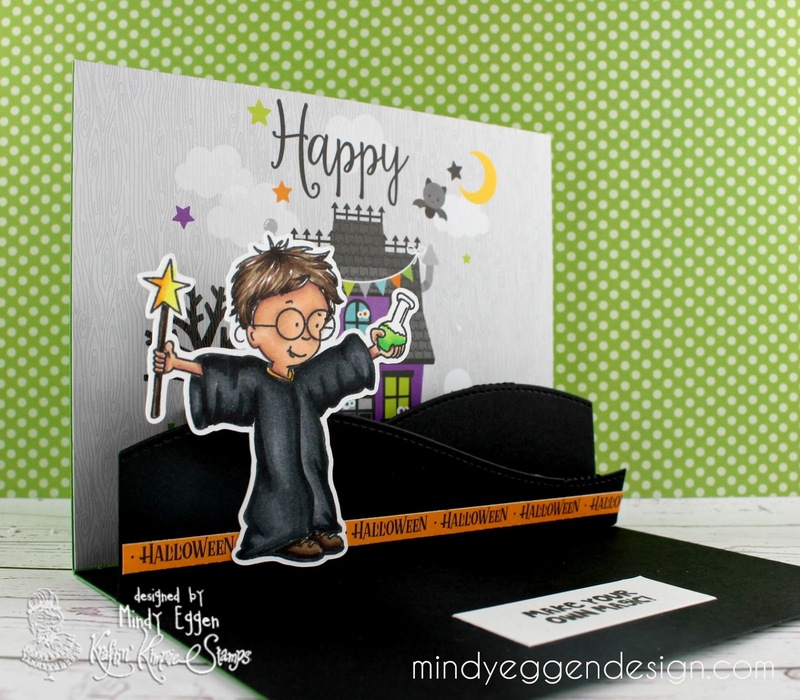 That's such a cool card ! !